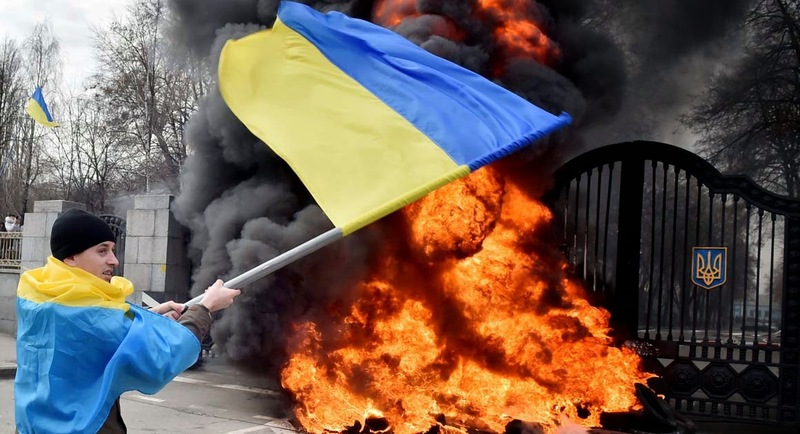 KIEV, Ukraine -- This past week, President Vladimir Putin has renewed his all-out military assault in Ukraine. It has been clear since the initial conquest of Crimea and the Donbass that the next phase would be the establishment of a land corridor through southern Ukraine to Crimea. Unless and until he is stopped by a combination of Ukrainian resistance and Western support, he will continue to pursue, via whatever means possible, his goal to undermine any independent Ukrainian democracy. There will be a direct cost to the West if this is allowed to happen. Ukrainians were too weak to resist the Russian-backed military incursion, and an army of useful idiots in the West quickly parroted the line that Crimea had historically been part of Russia and that Western interests should think twice before jeopardizing the whole spectrum of strategic cooperation with the Kremlin. Unchallenged, Putin moved further to stir up proxy uprisings in eastern Ukraine, followed by the direct invasion of regular Russian troops. This time the Ukrainians mounted a fierce resistance and the West was forced to take notice, especially after Malaysia Airlines Flight 17 was shot down by Russian air defenses. Multiple denunciations followed, sanctions against Russia were introduced, and Russia was expelled from the G-8. There was a moment when it seemed that Putin had grossly miscalculated the consequences of his actions and overestimated the influence of the pro-Russian business lobby in the West. The sanctions started to bite, magnified by plummeting oil prices. Putin seemed increasingly isolated and cornered. But Western attention shifted, and the emergence of the Islamic State of Iraq and the Levant became the pre-eminent concern first of U.S. policymakers and then, after the slaughter in Paris, eclipsed the Russo-Ukrainian conflict for Europeans, as well. Putin knows how to leverage a global terrorist threat in his favor. After the Paris attacks, the secretary-general of NATO, Jens Stoltenberg, called Russia an “anti-terror ally,” ignoring not only the direct connection to the downing of a passenger jet carrying dozens of European Union citizens but the ongoing support for irregular forces in Ukraine. Recall that Putin was the first leader to call President George W. Bush to offer support after the Sept. 11, 2001, attacks. He then used his support for the “war on terror” to silence concern about the violent military campaign in Chechnya and maneuver freely in his neighborhood — which culminated in the invasion of Georgia in 2008. It’s worth noting that the commander of the army that invaded Georgia is now believed to be leading the fighting in eastern Ukraine. It’s no accident that Putin chose this moment to launch a new offensive, as the fight against ISIL continues and many in the West are questioning whether they can afford to fight two major adversaries at once. Putin’s military and political goals are clear. He wants to inflict a major military defeat on Ukraine and force the volunteer battalions fighting his forces in eastern Ukraine to return to Kiev and turn on the newly elected government out of frustration. Russia can do much to prepare the ground for a possible coup, causing energy shortages and further pushing the Ukrainian economy — already burdened by the costs of war, stumbling economic reforms and persistent corruption — toward collapse. What can the West do to prevent this? First and foremost, follow the advice of former Secretary of State Hillary Clinton, Sen. John McCain and others to give weapons and military assistance to Ukraine. Clinton was right to say that Ukrainians have earned this assistance by showing their resolve to defend themselves and their freedom. If this assistance is rendered promptly, the current Russian advantage could be reversed within months. And while no major Western power will put boots on the ground in Ukraine, the view is different in neighboring countries of Ukraine that see this conflict as their fight, as well. Hundreds of volunteers — including dozens of U.S.-trained Georgian officers, Poles, Lithuanians, Belarussians, even Russians who believe it is necessary to stand up to Putin — are fighting on the front lines alongside Ukrainians. The U.S. and its NATO allies should help train and equip this international volunteer army. Economic support is equally important. Putin knows that the Russian economy is heading for collapse, but he is counting on Ukraine’s to collapse first. Financial support for Ukraine, conditioned on further reforms and a serious crackdown on corruption, is essential. President Petro Poroshenko has already invited the authors of Georgia’s police reforms to serve in the Ukrainian government and implement similar reforms. The U.S. government is providing financial assistance for this reform. This support must be extended to Ukraine’s new anti-corruption bureau and for other urgent structural reforms that will ensure ordinary Ukrainians see the immediate results of democratic transformation. With oil prices so low, Europeans can also afford to stop buying oil from Russia and invest to lessen their dependence on Russian gas. This would be aided by the acceleration of the creation of new facilities to export American shale gas to Europe. Europe, for its part, should develop new routes for gas supplies from Central Asia using the existing pipeline infrastructure in the Caucasus and Turkey. Finally, any talk of easing sanctions on Russia should cease in the face of this new military incursion. Pressure on Russia should be elevated, perhaps even via a new round of sanctions. One of the most efficient economic measures the West could take is to track and block Putin’s personal assets — one of the biggest deposits of black cash in history, which is used to buy allies in the West and fund anti-EU parties and interests. Seizing these assets would remove the contamination of Russian “lobbying” and change the landscape of the fight in many Western capitals. Every month of delayed action by the West makes the final cost of stopping Putin — in terms of human lives, economic decline and overall impact on the architecture of Europe — that much higher. If Russia succeeds in Ukraine, the Baltic states, despite their NATO membership, will find themselves more vulnerable to already escalating Russian attention. NATO can best defend itself from a costly Article 5 intervention by helping Ukraine defend itself and lowering the Russian appetite for hostile takeovers.